John L. Lewis is remembered as an exceptional orator, a tireless worker for his union members, and an effective advocate for all organized labor. 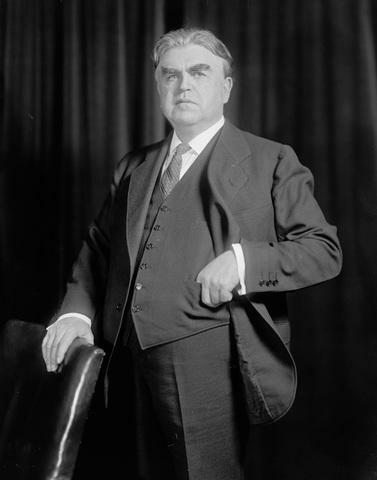 Union leader John L. Lewis was born on February 12, 1880. Although he never lived in West Virginia, he had a profound impact on the Mountain StateIn 1920, Lewis became president of the United Mine Workers of America, known as the UMWA. It was in the midst of the West Virginia Mine Wars—a period of violent conflict between coal operators and miners. After the Mine Wars ended, UMWA membership declined rapidly in West Virginia. By the end of the ’20s, the union had fewer than 1000 dues-paying members in the state. But Lewis rallied the UMWA. Aided by President Franklin Roosevelt’s New Deal, Lewis’s organizers built up union numbers in West Virginia and across the nation in the ’30s. His most lasting contribution came in the late ’40s, when he secured the first health and retirement plan for UMWA members. The deal came at a cost, though, as he allowed operators to mechanize union mines more rapidly. This trade-off ultimately eliminated tens of thousands of mining jobs. Lewis retired from the UMWA in 1960 and died in 1969 at age 89. Former West Virginia University basketball coach Fred Schaus died in Morgantown on February 10, 2010, at age 84. Before entering the coaching ranks, he was a star basketball player at WVU—being the first Mountaineer to score 1000 points in his career. After five years in the NBA, he returned to WVU in 1954 to coach the most successful teams in school history. Led first by “Hot Rod” Hundley, then Jerry West, WVU made it to six straight NCAA Tournaments and lost the 1959 national title game by only a point.